Spending New Years Eve/New Years Day battling a raging fever isn’t ideal. Far from desirable. Of all 365 days of the year you go into 2015 simultaneously sweating like a pig and shivering like a kitten caught in the rain. Woop woop! Yet whilst it’s not been particularly pleasant, there’s really nothing to complain about. Sure I may whine about being unable to ‘properly exercise’ for two days in a row (two whole days). I might fret about the fact that – heaven forbid – I have to remain curled up on the couch in the biggest and baggiest dress I own (hellllooo clammy skin) reading until the worst of the fever passes. Big deal. Count yourself lucky girl. It’ll pass in due course. In any case a little sickness every now and then is a good reminder to value one’s good health. And of course food plays a significant role in ensuring that one stays bright and bouncy. One can’t help but wonder if the less-than-optimal eating over the festive period paved way for the onset of this bug. Cynical? Perhaps. However too much sugar/fat/refined foods/food in general and not enough vegetables/lean protein and fresh fruit is virtually a sure-fire recipe for a less than stellar immune system. Time to get back on track with a revamped a.k.a. healthified (not technically a word, but hey we can blame the fever right?) classic. 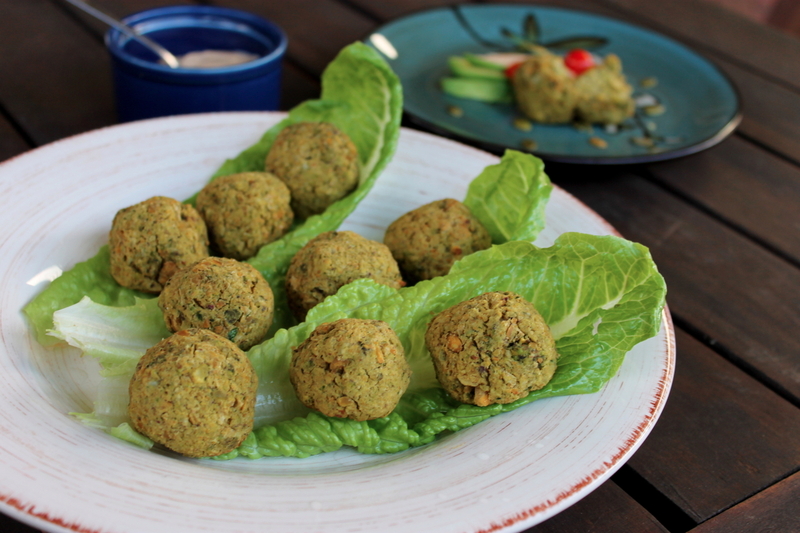 First and foremost these Felafel with Pistachios and Pumpkin Seeds are baked rather than deep fried. They’re also packed with protein thanks to the chickpeas, pistachios and pumpkin seeds. With just a smidge of spelt or rice flour (which-ever takes your fancy) they’re virtually refined carbohydrate free. Definitely a bonus after all the cakes/pastries/puddings of weeks gone by. Preheat the oven to 190C. Line two large baking trays with baking paper. 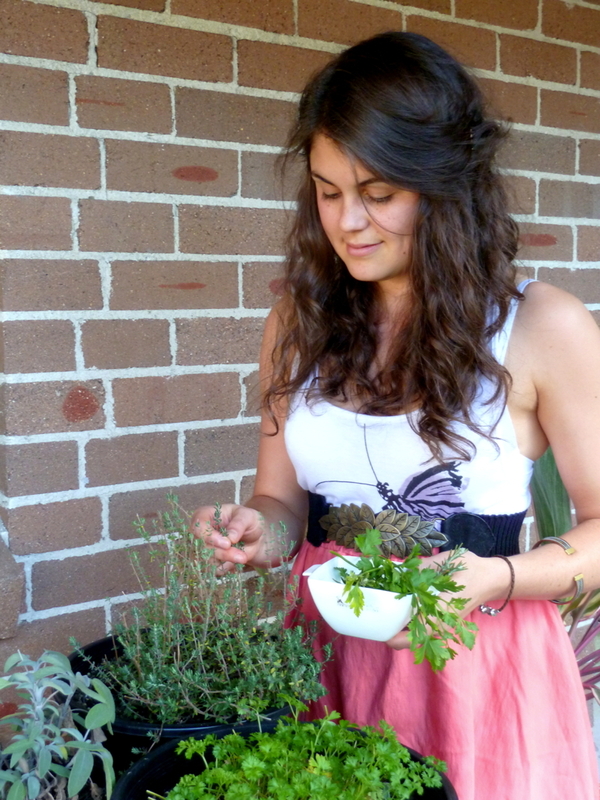 Place the herbs in the bowl of a food processor and blitz for 30 seconds or until quite finely chopped. Add the pistachio nuts and pumpkin seeds and blitz for another 30 seconds or so until well combined, but still a bit chunky. Now add the rest of the ingredients and pulse for approximately one minute, scraping down the sides of the bowl every 20 seconds or so. You want the texture to remain relatively rough. Add a drop of water if the mixture refuses to come together. With damp hands, take tablespoon sized chunks of the mixture and roll into balls. Place on the baking tray, leaving a centimetre or two between each one. Bake for 15 minutes or until the outside is slightly crisp and the bottoms have browned. Serve immediately or set the pans on a wire rack to cool. 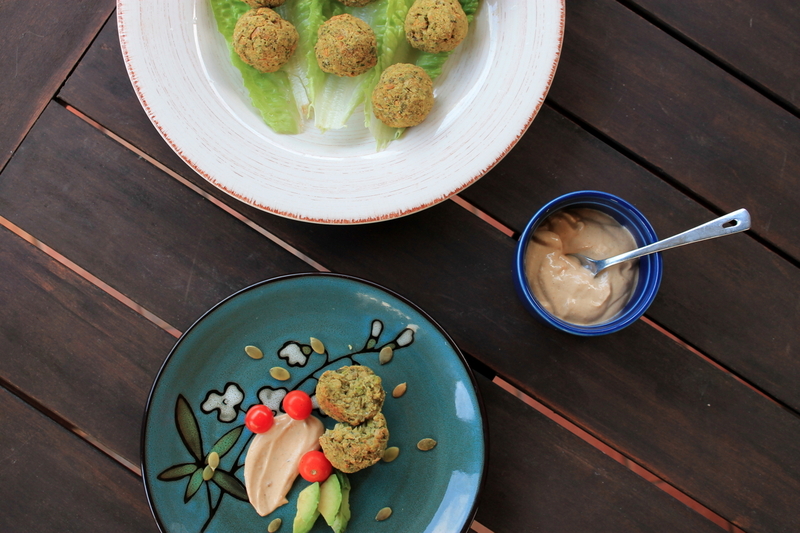 Serve the Felafel with the Chilli Yoghurt Sauce and your choice of accompaniments. Whisk all ingredients together in a small bowl. Season with salt and freshly ground pepper according to taste.